A local club that gives people living with dementia the opportunity to take part in enjoyable activities is marking World Alzheimer’s Day on 21 September with a special Open Day. The Kingfisher Club in Letchworth, one of four provided by the Howard Cottage Housing Association in North Herts, will host a number of free fun events and will be providing afternoon teas. Anyone living with Alzheimers or dementia, and their carers are welcome. Herts Careline will also be in attendance at the Open Day. The event will run from 11am – 4.30pm at Macfadyen Webb House on Norton Way North. Howard Cottage Housing Association works in partnership with North Hertfordshire District Council (NHDC) to run the Kingfisher Club at Macfadyen Webb House every Thursday from 10am to 3pm for people living with dementia. North Hertfordshire Museum will also be supporting the day by holding a Reminiscence Coffee Morning in the Town Hall, Brand Street, Hitchin from 11am to 12.30pm on 21 September. World Alzheimer’s Day is the focus of World Alzheimer’s Month in September. 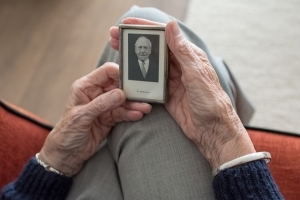 It seeks to raise awareness of this condition which is a form of dementia, highlight the issues faced by people affected by dementia and demonstrate how they can overcome issues and live well with dementia. Currently there are over 850,000 people living with dementia in the UK and nearly 50 million people living with dementia worldwide. Cllr Tony Hunter, NHDC’s Executive Member for Community Engagement said: "World Alzheimer’s Day offers the perfect opportunity for the Kingfisher Club to open their doors and show people the excellent work that they do. The Club is a vital lifeline for those who attend and provides activities designed to keep minds sharp, bodies strong and spirits high for those affected. We hope to see lots of people there on the open day." For further information on the Museum Coffee Morning, please call Ros on 01462 474236.